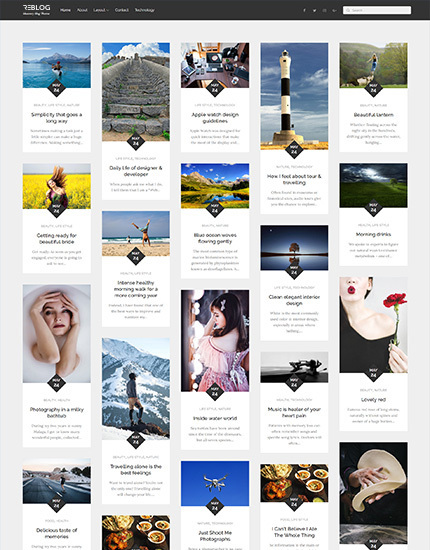 Reblog Pro is a clean, minimalistic and responsive masonry blog WordPress theme. 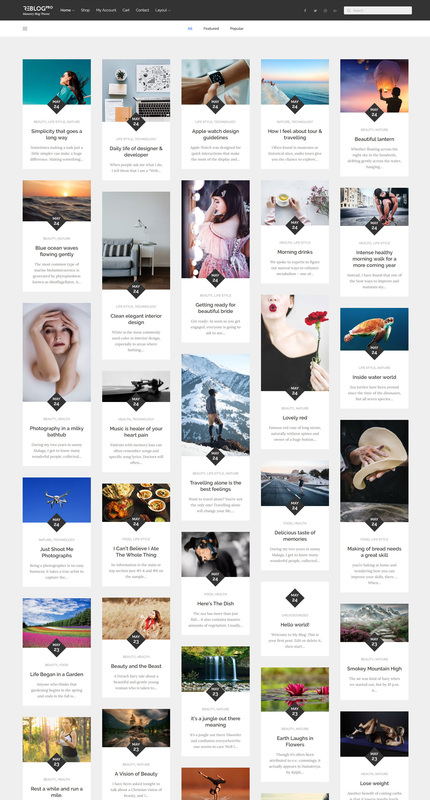 Reblog Pro simply gives you grid boxes layout and does not require any complicated setup. It is perfectly suited for a simple magazine, blog or portfolio websites. 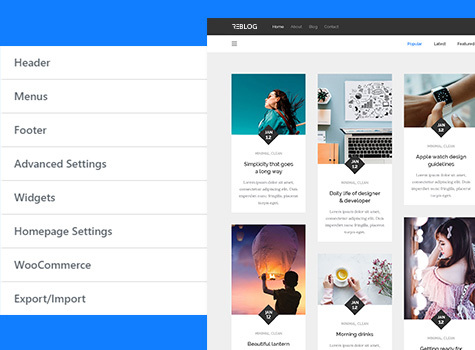 Reblog Pro allows you to customize your WordPress site the way you want it and tailors it to your needs so that no website will ever look alike to yours. 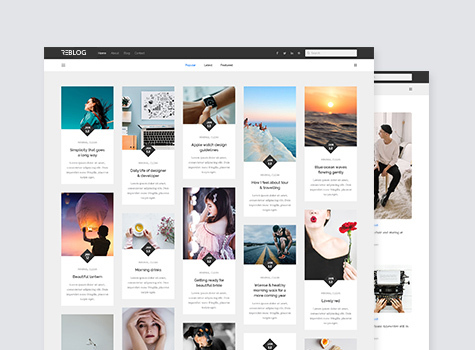 Reblog Pro is an adaptable platform that can readily service all manners of websites across an endless range of niches and markets with effortless ease, quickly shifting its shape and look to match your most extreme specifications. 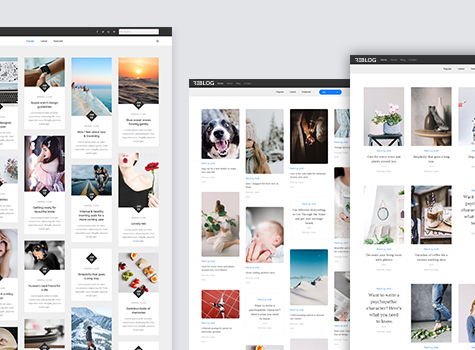 A clean and well-structured layout allows you to show off your work in an elegant way and gives website visitors a pleasing experience and one of the many perks of using the masonry grid style layout is that it makes your site look clean and organized. As Reblog Pro uses a masonry format, your website visitors will be able to take a closer look at your work. That being the case, if you are planning to build a new blog or portfolio site or wish to give your existing website a revamp, Reblog Pro would undoubtedly be the best choice for you. Reblog Pro stands to reason that the process of designing should actually be easy and fun. For this reason, Reblog pro provides a very interactive user experience and webmasters with or without previous experience can make the most of Reblog Pro. Intuitive and free from coding, Reblog Pro’s design process empowers effortless customization, offers plenty of customization options and comes with a quick and straightforward setup. With Reblog Pro, you can finally provide convenience to your website visitors. 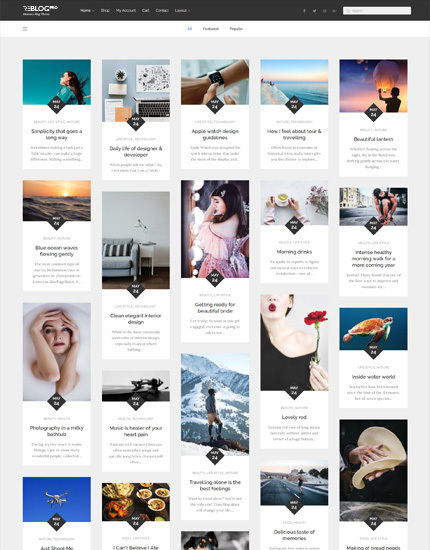 For a better user experience, the likes of blog/magazine/portfolio themes have their tags outputted. 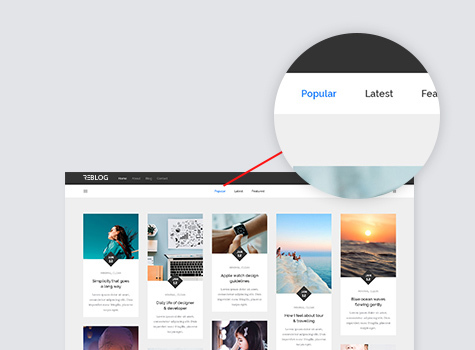 To make the filtering easy for the users, Reblog Pro allows you to use the ‘Tags Filter’ to organize your content and help visitors find similar posts easily. Reblog Pro is more than capable of presenting all kinds of content in an attractive, original, customizable arrangement.